Dhawan, along with his wife Aesha, kids and the entire Indian contingent, was on his way from Mumbai to Cape Town for Team India's 56-day tour to the Rainbow Nation, where they will play three Tests, six ODIs and three T20Is. 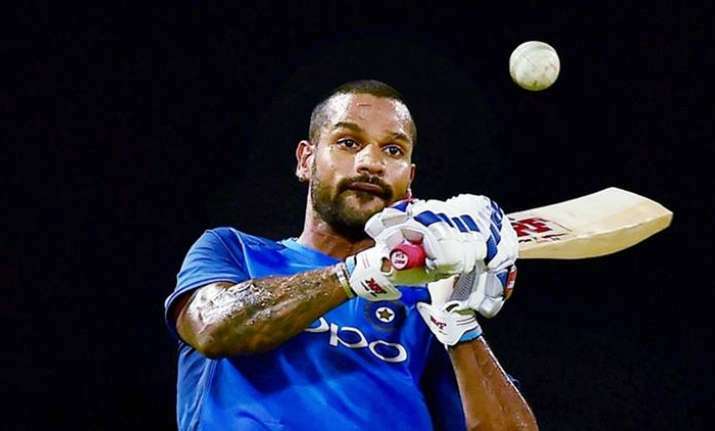 India opener Shikhar Dhawan and his family had to face a hard time while travelling to South Africa which led the aggressive southpaw venting out his anger on the airlines. Dhawan, along with his wife Aesha, kids and the entire Indian contingent, was on his way from Mumbai to Cape Town for Team India's 56-day tour to the Rainbow Nation, where they will play three Tests, six ODIs and three T20Is. However, according to the Delhi cricketer, his wife and kids were stopped at the Dubai airport and not allowed to board the connecting flight to Cape Town by the Emirates Airlines. This picture of Shikhar Dhawan’s son sleeping in Anushka Sharma’s lap is the best thing on internet today! Hitting out the airlines, Dhawan said on Twitter: "Absolutely unprofessional from @emirates. Was on my way 2 SA with my fam & was told that my wife and kids can't board the flight from Dubai to SA. Was asked to produce birth certificates & other documents for my kids at the airport which we obviously didn't have at that moment." Dhawan's participation in the first Test, starting from January 5, is in doubt due to an ankle injury. Before Indian team's departure, Dhawan was seen entering the team hotel limping with his left ankle heavily strapped. He was accompanied by physio Patrick Farhart and has undergone an MRI scan. Meanwhile, the entire Indian team on Thursday night landed in South Africa and reached their hotel in Cape Town.